Heidi and I rounded up the troops yesterday for a beach party. Hotdogs, burgers, brownies, an assortment of chips, a thermos of hot chocolate, and we were set to go. 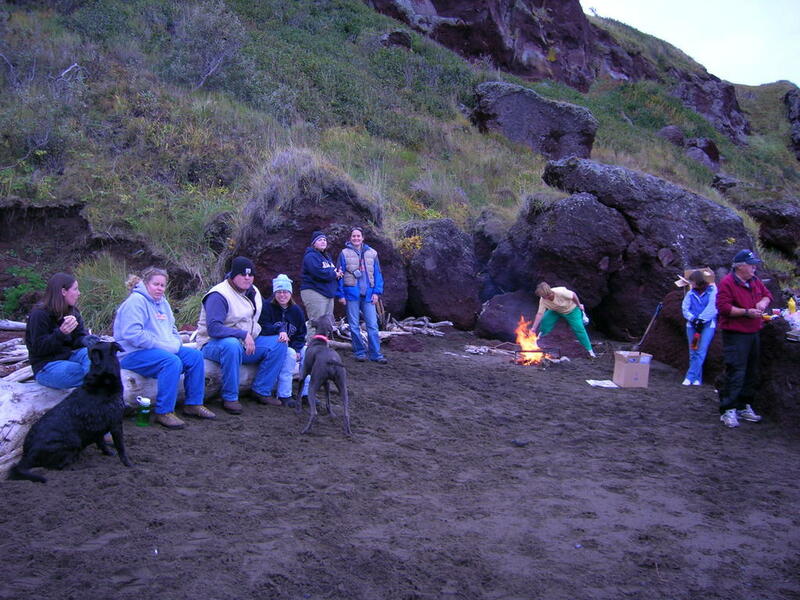 We went to North Beach, which is on the north side of the peninsula directly north of Stebbins. Here's a map. It's a short ride by fourwheeler.